The Pacifica has landed… in our driveway. 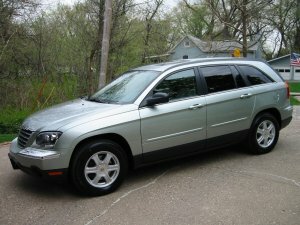 Kristin’s new car, a 2004 Chrysler Pacifica, came in last week, so we drove up to Iowa to pick it up. Why Iowa? 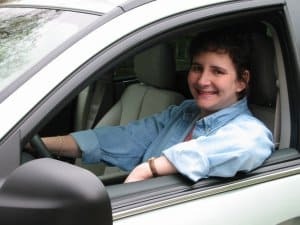 We have a family friend who owns a Chrysler dealership there (Kimberly Chrysler in Davenport, IA), so we always buy our cars there. The car is quite impressive. I think Chrysler really nailed it with this one. You’ll be seeing a lot of these on the road eventually. They are a bit more expensive than what Chrysler hinted when the car was a concept (~$42k if you get all the options), but if you are careful, you can get it for less than that. Having an employee discount (courtesy of Scott’s mom) doesn’t hurt either.